Our oldest inspiration. 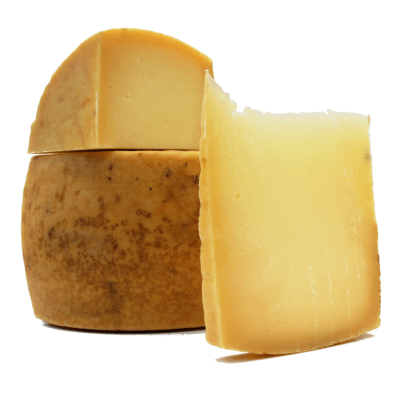 First produced in 2009 as the first cheese containing goat milk after Kozlar cheese. Simply, they had goat milk in surplus for making semi-hard cheese Kozlar and since the only way to use it was to make hard cheese, Šime Gligora, following his father's steps and production of Žigljen, wanted to make a goat milk version. This is when Dinara cheese was made of cow and goat milk from Dalmatia. This is why it was called Dinara cheese. Dinara is Dalmatian highest mountain. The cheese is proud to be called that way. It is our most awarded cheese right after Pag cheese. Double winner of WCA trophy and a vice champion of the whole 2014 WCA contest in London! Our best result for the one cheese. Dinara cheese has an excellent aroma coming from the right combination of goat and cow milk from the region of Dalmatinska zagora. It is mildly piquant and nutty with a compact and tasty structure. Extra old Dinara cheese is a very successful variant of Dinara cheese.